What kind of place is Zou-no-Hana Park? Zou-no-Hana Park commands a view of the places that make you think, “This is the Yokohama!” such as Minatomirai, Osanbashi Pier and the Yokohama Bay Bridge. 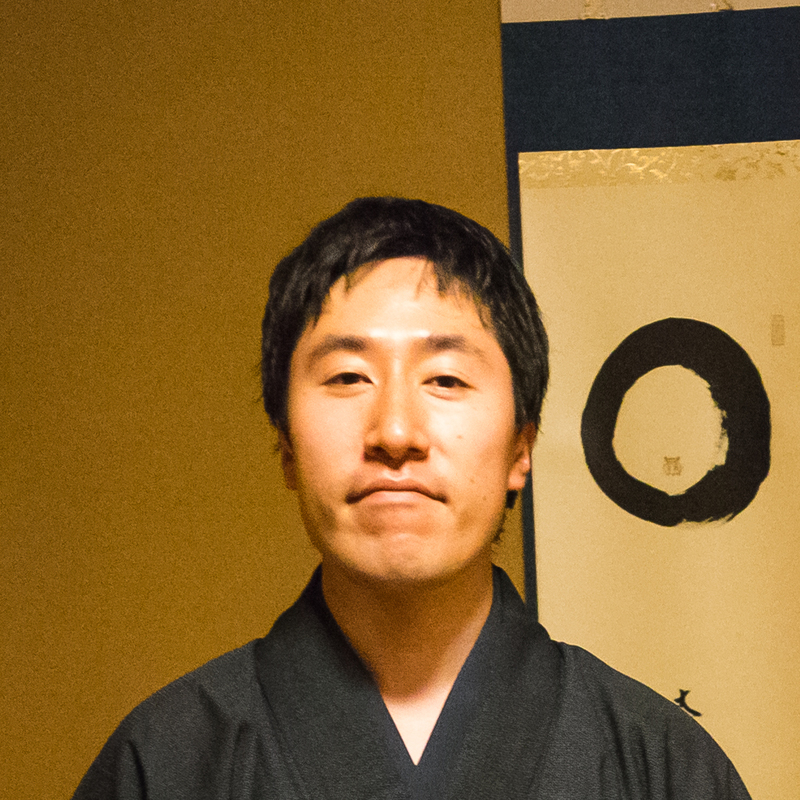 It is an open place where you can relax and let time pass slowly. I also recommend that you take a few pictures or expose yourself to arts displayed all over the park. It is surely a place you can enjoy in various ways. 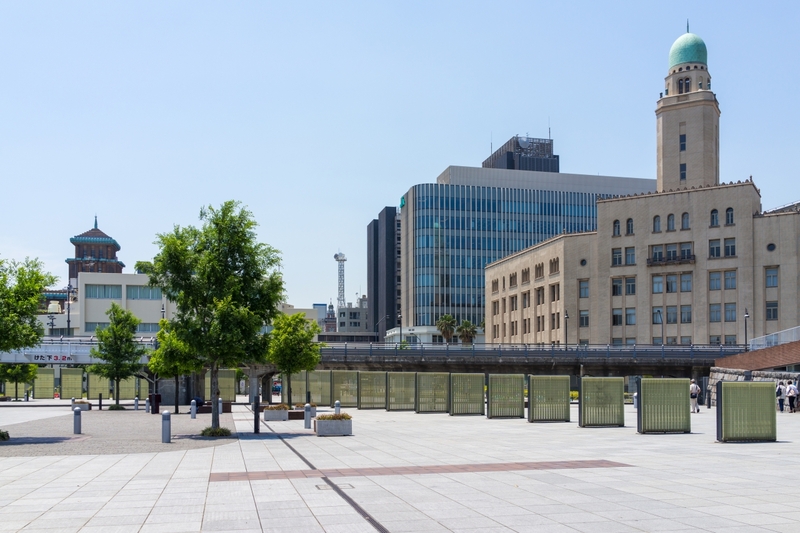 It is in a very good location between Yamashita Park and Minatomirai which are famous sightseeing spots in Yokohama. Furthermore, it has “Zou-no-Hana Terrace”, a free rest station where you can even take shelter from rain. 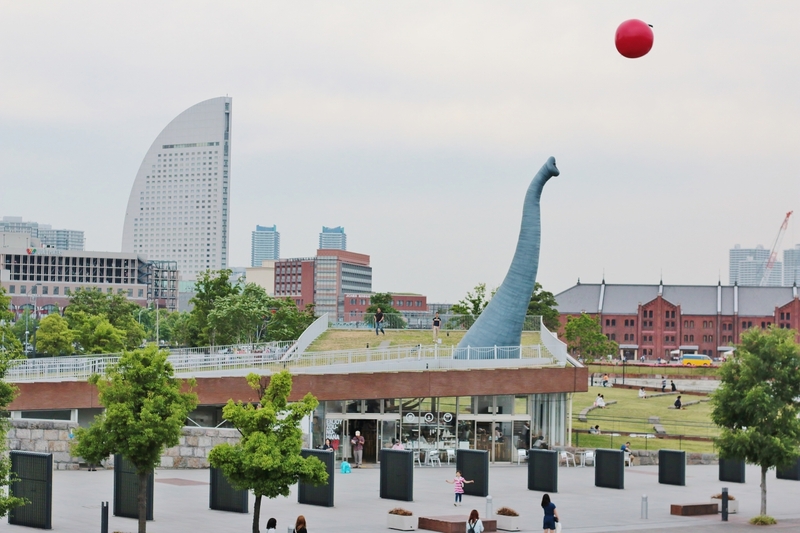 I highly recommend that you stop by the park when you visit Yokohama. 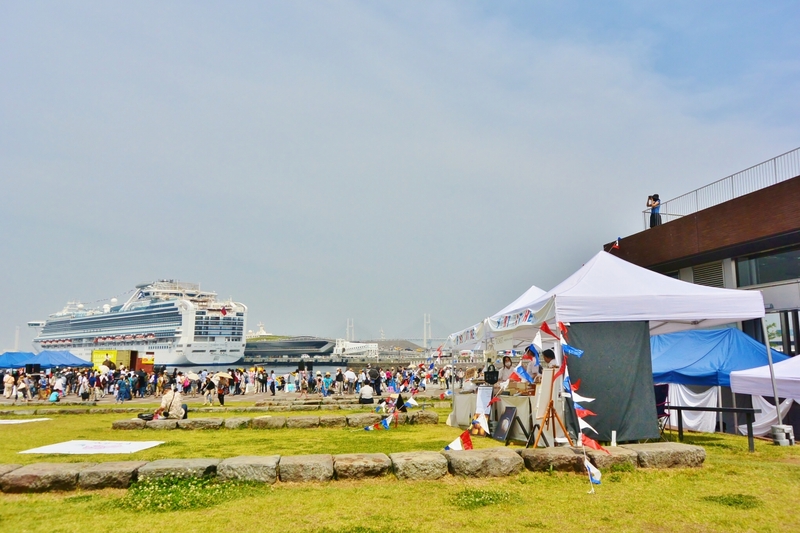 This is the birthplace of Yokohama Port! 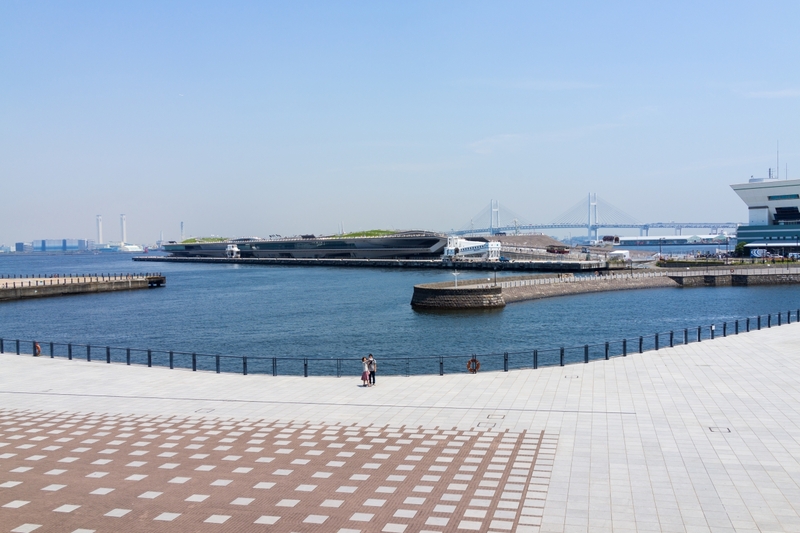 This is the very place Yokohama Port was born. It was the first place in Yokohama where a port with genuine wharfs was opened in 1859. One of the wharfs was reconstructed to resemble a bow-shape and came to be called “Zou-no-Hana” because of its unique shape (Zou-no-Hana means elephant’s trunk in Japanese). 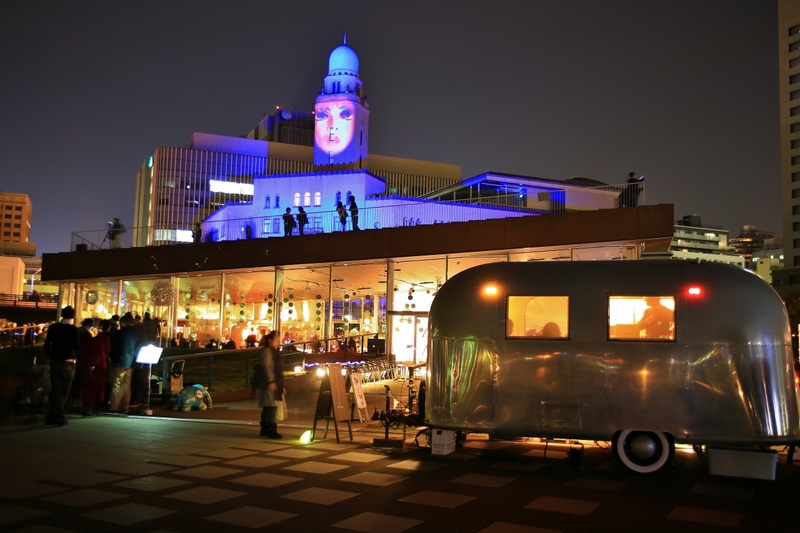 It is a special place for the inhabitants of Yokohama. Zou-no-Hana Terrace is a rest station everyone can use freely. You can also use wifi for free. It has a cafe. Various beverages such as tea and micro-brew beer in Yokohama and sweets shaped like elephants are also available. 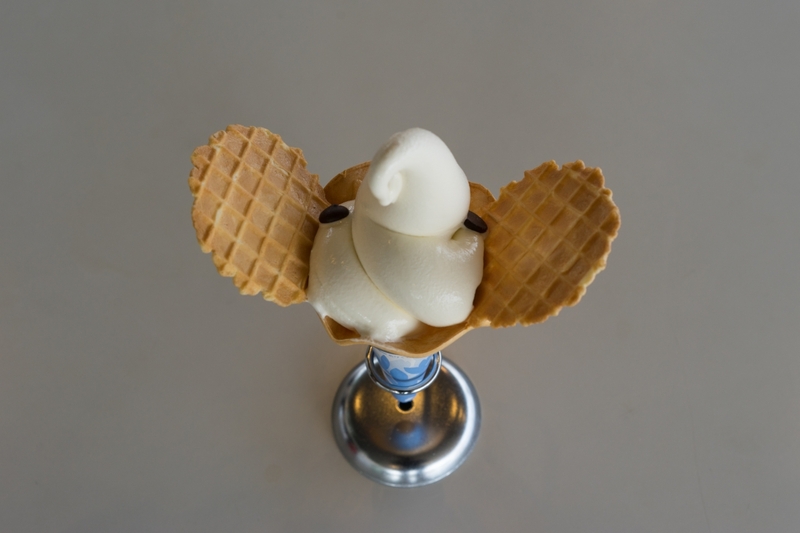 Zou-no-Hana Soft Ice Cream is recommendable. Its appearance is very funny. The flavor is very rich and also has a refreshing aftertaste. There are also arts to be exposed to casually, which is the attractive feature of Zou-no-Hana Terrace. For example a monument of 6 meters long elephant is very impressive. 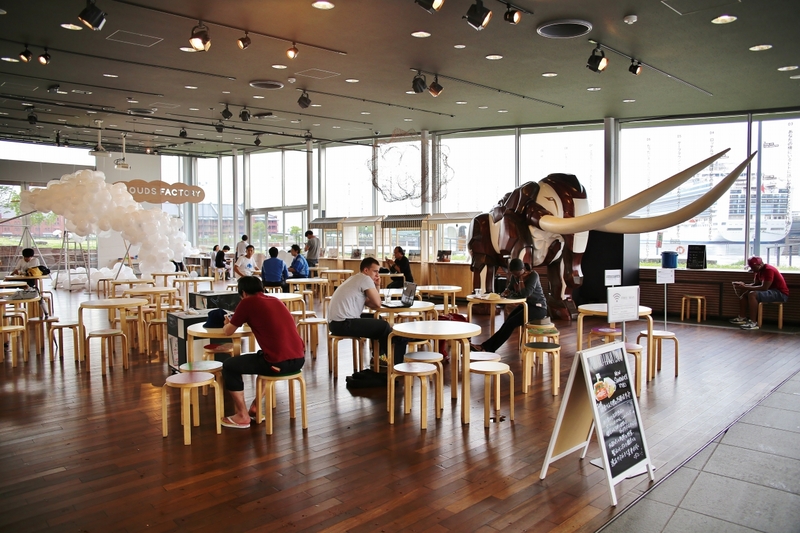 “Zou-no-Hana Library” has books selected by artists that anyone can read freely. In addition, you can buy “SLOW LABEL” products such as bags. SLOW LABEL brand is the fruit of the combined efforts of artists and support facilities attendants for persons with disabilities in Yokohama City. It produces lovely handmade goods each of which is one-of-a-kind. The round carpet laid on the floor is also a product of SLOW LABEL. Taking off your shoes, you can take your ease freely. Zou-no-Hana Park is a good place to take a rest. There are a lot of benches in the park where you can take it easy enjoying the sight of the port. “Port Opening Hill” is a wide-open area with a gentle slope covered in grass. You may want to go on a picnic on a fine day. Amazingly, a picnic sheet is available for free at Zou-no-Hana Terrace and of course it is designed by artists in Yokohama. The stones there were once used as seawalls but you can use them as benches. It is because of the feature that you are tempted to press the shutter button of your camera many times. 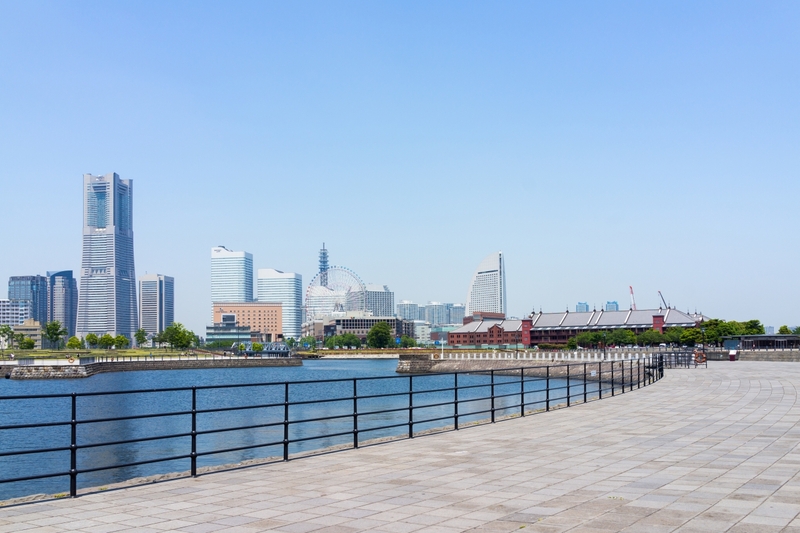 Representative buildings of Minatomirai such as The Landmark Tower and Yokohama Red Brick Warehouse can all be settled in one picture. You can also get the full view of Osanbashi Pier and the Yokohama Bay Bridge. If you are lucky, you could see a large passenger ship anchored at the pier. You could also take an impressive picture of port city’s own ship. 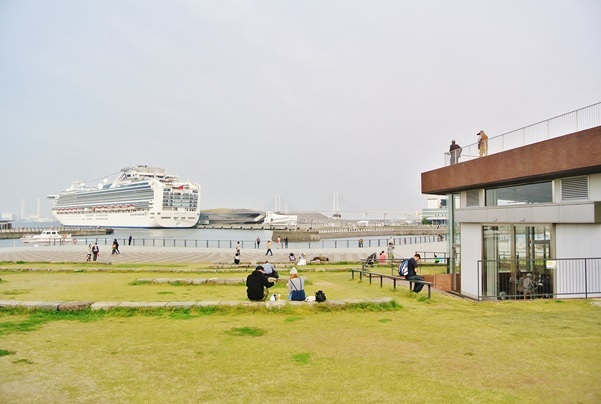 The Yamashita Rinko Line Promenade is a promenade, which was once the location of a freight line. The melancholic features of the port that the past left remain under the elevated structures. Zou-no-Hana Park is a cultural activity base where various exhibitions and events are held. The “ZousanMarchais” is held every Sunday. 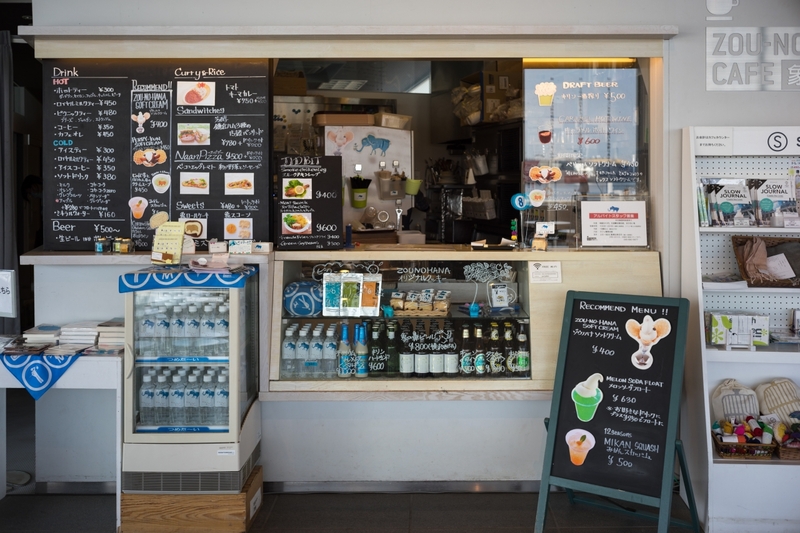 Various shops in Yokohama City and Kanagawa Prefecture such as bakeries are opened. “Smart Illumination” floating on fall night port is also recommendable. It is an art event in the night that uses latest energy conservation technology. You can enjoy a beautiful and unique performance made by the illuminations. Yokohama Three Towers is the general name for the Kanagawa Prefectural Office (the “King Tower”), the Yokohama Customs building (the “Queen Tower”) and the Yokohama Port Opening Memorial Hall (the “Jack Tower”). They are very popular among the local citizens. You can see all these 3 towers at the same time from Zou-no-Hana Park. There are also other such places nearby and it is said that your dream come true if you visit all these places. Wouldn’t you like it? You can spend the day relaxing, surrounded with the open view of the port and arts. Don’t you think it is splendid? Furthermore, it is all free. Truthfully, I wanted to introduce other attractions in the park such as Yokohama’s own wonderful shops and a pier from which you go on a cruise; however that’s enough for this time. Please actually go there. ©Yokohama Arts Foundation.All Rights Reserved.